In this week’s blog post, Live Music Exchange’s Emma Webster flags up today’s launch of a new national house gig network: Gig In Your House. Emma has been running house gigs under the name of the Music Inn for four years and uses this post to promote the concept of a database of house gig promoters in order that musicians can plan a tour knowing they have access to accommodation and venues. Since 2009, my husband and I have been promoting occasional house gigs under the name of The Music Inn; first in our giant tenement flat in Glasgow, currently in our tiny terraced house in Oxford. For a much longer time, we have put up musicians in our spare room if they have needed somewhere to stay while passing through town. The musicians are sometimes people we already know, and sometimes they are friends of friends (or friends of friends of friends), but we enjoy meeting new people, occasionally from overseas, and there is often the gift of a free gig ticket or CD as an added bonus, as well as (usually) interesting company and sometimes a new friendship. Sometimes the musicians staying over will also perform a gig at our house, or they may stay over and then return to perform on their next tour. Their tours are often a very mixed bag – there might be a support slot somewhere or a headline slot at a small venue. One musician, who is also an author, paid for her tour by speaking at much better paid lectures – a cross-subsidy model if you like. Most of the musicians we know and house are operating at a low level; none of the tours are straightforward in the sense of having a stream of gigs with good guarantees, and most of them see the musicians pretty much out of pocket due to travel and accommodation expenses. Leaving aside the bonuses for the ‘promoter’, the benefits of the house gig are numerous for an artist who has yet to build an audience outside of their own backyard. 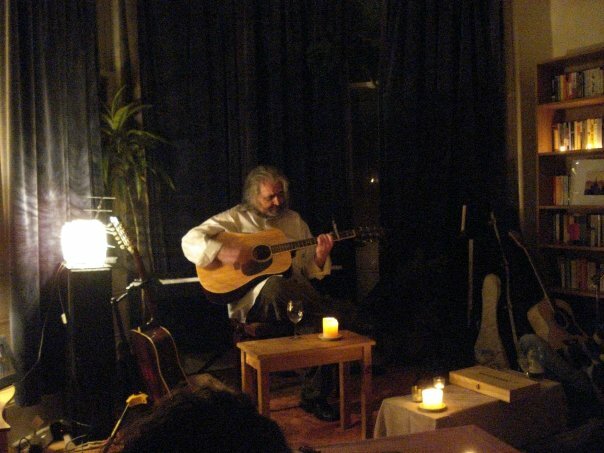 As shown by Gerard Moorey in a previous Live Music Exchange blog, house concerts are increasingly seen as a viable and attractive option, both for musicians and audiences. There is (usually) free accommodation, food and company for starters. While the audiences are by definition small, they are likely to be very attentive and warm; there’s the opportunity for the musician to develop a real relationship with the audience – this is essentially a social gathering of friends after all. Financially, house gigs can also make better sense than an ‘unknown quantity’ gig with the vague promise of a door split for which the musician is unlikely to be able to bring in a crowd of their own. At our house gigs we informally suggest our friends make a donation and every house gig we have done for a touring musician has at the very least not seen them out of pocket and has almost always seen them in the black. Other house gigs we are aware of have a more formalised ticket policy. Some are free. People will also often buy a CD as well as make a donation. Today sees the launch of a new website, Gig In Your House, which aims to create a more formalised network of people willing to put up musicians and put on gigs in their houses [it should be pointed out that Emma Webster and Live Music Exchange is not affiliated in any way with Gig In Your House]. If a musician is touring and linked in to the network, they would then know that they have a ready-made network (or networks plural – possibly based on genre, taste and sociability) of music-friendly places to stay. What will be interesting is whether such a network can work using an internet-based Couch Surf model, or whether the word-of-mouth / friend-of-friend aspect is important, for which an internet-based model may well be a little too impersonal. Even though the gigs are not formalised, there is still the need for a conduit between house gig promoter and performer – an agent of sorts – who is able to ‘quality check’ and act as a filter to ensure the promoter is not swamped by the high number of musicians. Whether an internet-based service will be able to do this remains to be seen; there are many more musicians wanting to perform than promoters wanting to put them on, and this could prove a large amount of work. There is also the economic issue – are house gigs ‘gigs with a social element’ or ‘social events with music’? This distinction is significant: if the latter, the promoters are essentially asking the performers to play at a party and so the music is not the focal point of the evening – the promoters must therefore be prepared to be out of pocket by the end of the night. If the former, the promoter must run the gig as a gig, i.e. the promoter is aiming not to make a loss. 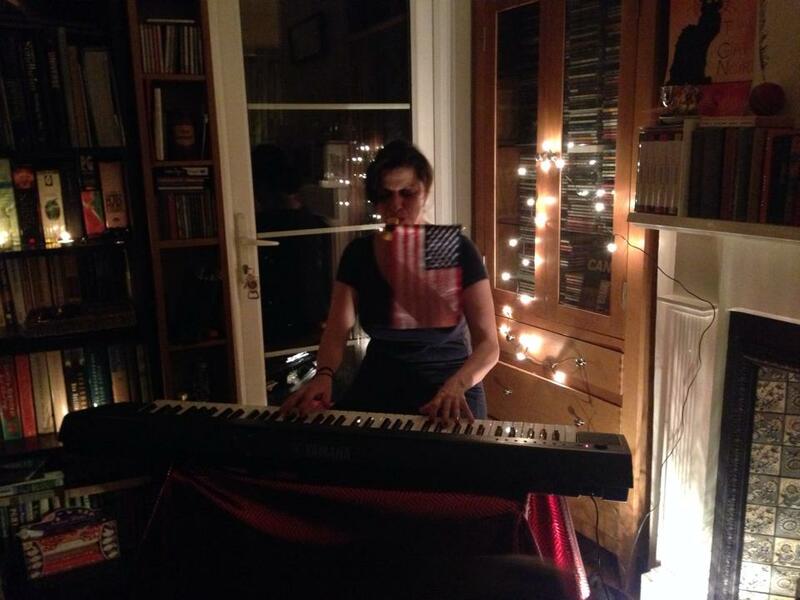 The two types of house gig affect how money is collected – the former type will probably require a minimum priced ticket to ensure that the musician gets paid properly and that the promoter is not out of pocket; the latter may be based on a donation and the promoter should be prepared to make a loss. None of the performers who have stayed with us are earning a fortune and they rely on people’s goodwill to help them tour. A national network of house gig promoters and beds for musicians relies on altruism – selflessness – combined with egoism – getting something for yourself in return. As I have written about elsewhere, live music promoters may be motivated by a variety of factors – money, status, fandom, necessity – and some by what Hans Selye defines as ‘altruistic egoism’, namely whereby ‘the selfish hoarding of the goodwill, esteem, support and love of our neighbour is the most efficient way to give vent to our pent-up energy and create enjoyable, beautiful or useful things’. House gigs and accommodating musicians is, for me, a good example of just that. If you are interested, please do check out Gig In Your House so that we can begin to establish a database of Music Inns around the UK, ensuring a few spare rooms in every city. The Couch Surf model connects hosts with travellers to enable the travellers to stay in people’s houses for free – surfer and couch both have online profiles on the sites with which to check each other out. Similar internet-based models include Tripping, the Hospitality Club, and Stay4Free. Indeed, an earlier music-specific version of the Couch Surf model, ‘Better Than The Van’, appears to have bitten the dust, although it is unclear as to why this might be the case.